The Highlands Varsity Dance Team partook in two Large Varsity categories at the National Dance Alliance Nationals competition in Orlando on Saturday. They wound up placing fifth in the Hip Hop Finals on Sunday out of 14 teams that advanced. A total of 24 teams participated in the preliminaries on Saturday. 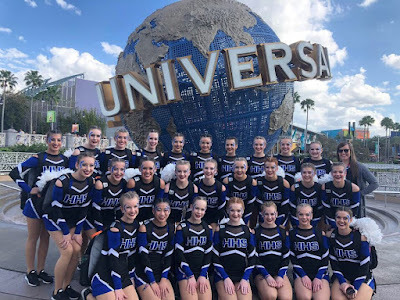 The pom preliminaries took place Friday against 23 teams. Out of the 15 teams that advanced, Highlands finished 11th. The Finals took place on Sunday and the team finished 10th. Contributed Photo. 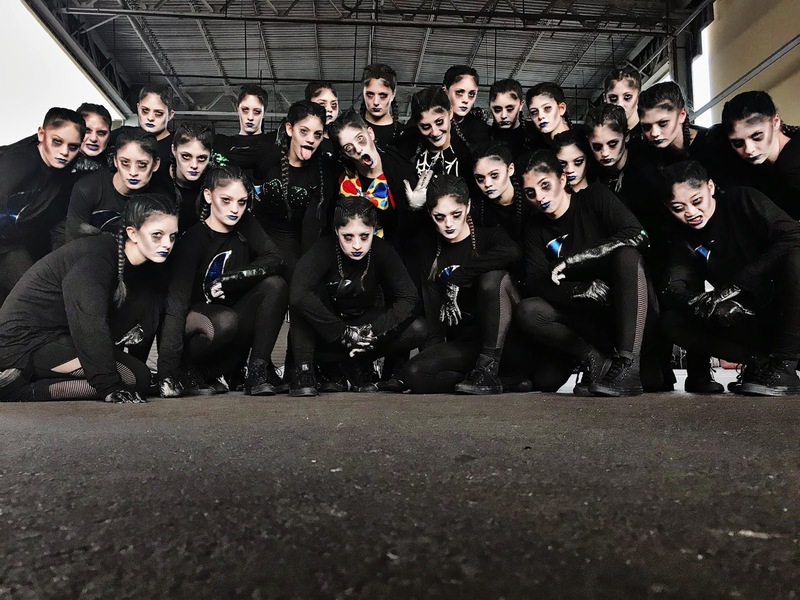 The Highlands Dance Team participated in the NDA Nationals over the weekend. Highlands Principal, Matthew Bertasso, even showed up to surprise the team in Orlando to watch them perform in person. Highlands sophomore Emma Mallery (23) looks to pass against the Holy Cross pressure Wednesday. The Holy Cross Lady Indians (22-10 overall) held two leads in the game's first two minutes. But neither lasted for more than 21 seconds. Highlands senior guard Zoie Barth gave the state's sixth-ranked Bluebirds (29-4) the lead for good at 9-6 with three-pointer from the right wing with 4:31 left in the quarter. 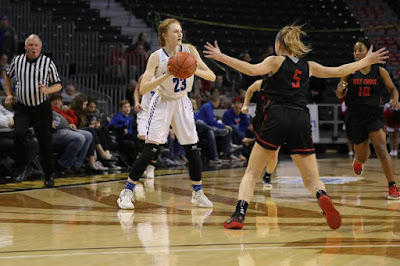 The Bluebirds gradually pulled away from there for a 72-46 victory in the 9th Region quarterfinals Wednesday to move on to the semifinals Saturday at BB&T Arena on the campus of Northern Kentucky University. Highlands won its first region quarterfinal game since 2016. The Bluebirds take on Dixie Heights (21-10) on Saturday at Noon back at BB&T Arena where the 9th Region Tournament has been held since 2009. Highlands beat Dixie Heights, 52-51 in Fort Thomas on Feb. 1. "It's just like the (36th) District tournament," said Jaime Walz-Richey, Highlands Head Coach. "We know we have to come out, be prepared, know what we're doing offensively and defensively. You have to know when your number is going to be called." Most people prefer to keep their grief and suffering private. But sometimes it rumbles into public life - like a house fire, death of a child, a freakish accident, a return of cancer - and reminds us of how fragile and wonderful life is. But we don't need to be told this. We do, though, need to be reminded that everyone suffers. Buddha said life is suffering. True. But I want to add that how we suffer is important. Intentionally or not, we learn from our suffering. We grow when we become aware of why we suffer. Our character as individuals and community are revealed through how we suffer. It does not build character; it reveals it. Whether we like it or not, we inadvertently become a model of how or how not to suffer. All of us have had that punch in the gut moment. 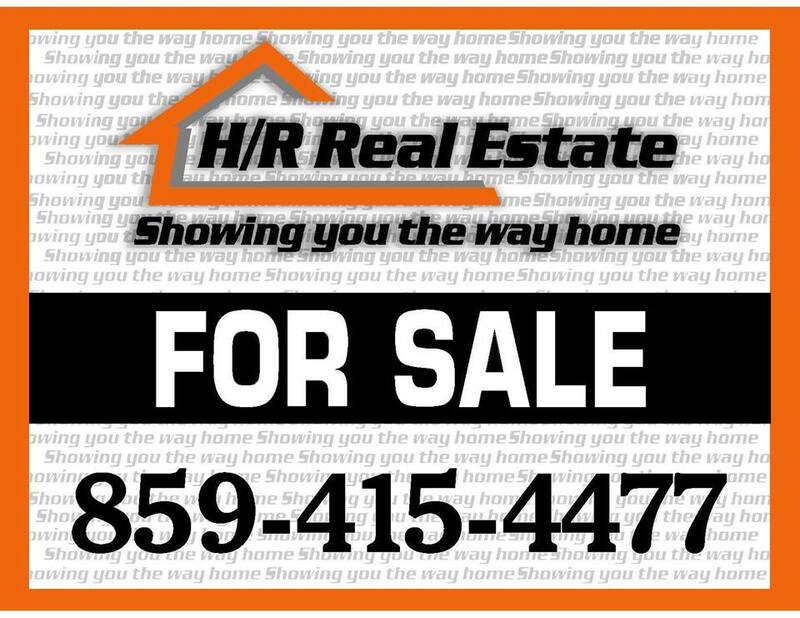 There’s that sudden loss of security or memory or property or life. These are the real costs of suffering and it hurts, but it’s not the lesson. 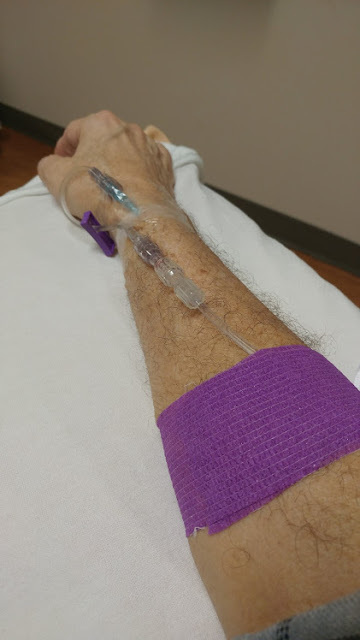 When I was told my cancer had returned, well, it was a kick to the groin moment. With steel tipped boots. Worn by a linebacker. It’s important to learn from our suffering. It’s important to open to the support and love of family friends, and community. We should not suffer silently although we often do. Suffering prepares us for the next time. So I threw a question out on social media and received surprisingly insightful answers. The question is “What have you learned from suffering?” Here is the group wisdom of some of their responses from around our community, from around the country, and from around the world. KC: I have learned compassion for others and to not take things or people for granted. TF: That someone is always worse off than me. CR: That I’m stronger for what comes next. PM: Sometimes you have to ask for help. LS: How to be humble. How to receive acceptance of help and love. It also makes you feel vulnerable. You find that we really do need each other. And that feels good with the right people. And then it goes full circle, because now you know you need to step up your game to help others. It does make you stronger. It allows me to be more free to talk about needs, wants and help to others. We have a new bond with others like us. SG: When you finally overcome it, you are able to look back and see the things you’ve learned and start to understand why they happened. CS: That the suffering won’t last forever. Lean on the people that love you too and it will always soften the blow. SR: Not to judge others because of what they may be experiencing. CM: People want to help or talk. Let them help you in any way. It can be overwhelming but most everyone has good intentions. Be an advocate to reach out to people that may be struggling with something similar. MB: I have learned there is absolutely nothing noble in suffering. (I used to think there was.) I have also learned there is immense beauty in the surrender which suffering often seems to require. KT: That you are stronger than you ever thought possible. AR: Suffering is temporary, and it's just one small part of that chapter that leads you to betterment of yourself and your life. I never knew how strong I was until I had to fight for my life. That the worst moments of suffering are temporary. I never knew how many people really cared and loved me and my family. JH: When confronted with suffering, you can't go over it, under it, or around it. You have to go through it to get to the other side. You find empathy in significant proportions for things you'd never thought of before. You learn to ask for help. And because you understand others' suffering after going through your own, it's incumbent upon you to help others going through their own. RB: Things don’t matter, people do. BD: The dark makes the light brighter. PB: Many, many facets of APPRECIATION! SW: Suffering taught me to cherish and honor every moment I have with my friends and family... and to always count my blessings. NF: However, the scars left behind are everlasting. Through life’s uncertainties I have learned to embrace the either physical or emotional scars left behind, to inspire and try to help others. Suffering has taught me to remain humble and express gratitude so that I am not isolated and can help someone else who is suffering. AM: Like a seed in the ground, seemingly in the dark there begins a pain that comes from within. All of a sudden the skin splits open from pressure and there is agony in the darkness. 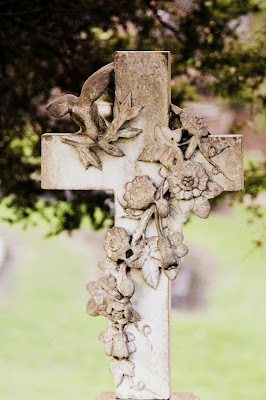 A growth, spins out from the wreckage, and what once felt like death has become life itself. Without suffering I know, very little about everything else. ES: That asking for help is a sign of strength and not weakness. CI: Suffering taught me forgiveness. RS: I am stronger than I thought. KL: Having suffered from chronic pain my entire life, the greatest lessons I have learned are compassion for others and patience. SD: Never judge someone. You have no idea what battle they are facing. I never realized how strong I was until being strong is all I had left. During my 5 plus year cancer journey I have lost my mom and sister. I didn’t think I would be able to go on but life goes on whether you’re ready or not….You deal with it. When you ask for help it is not a sign of weakness. That one is still hard for me to grasp! JS: I think suffering often shows me where I have misplaced priorities in my life. On my worst days I have often realized that great things I have taken for granted and what trivial things I have worried about that were inconsequential. Suffering then also leads me to believe that there has to be more than this. The Highlands boys and girls swimming and diving teams finished state runner-up in Louisville over the weekend with 229 points. Lexington Catholic won the combined with 333. 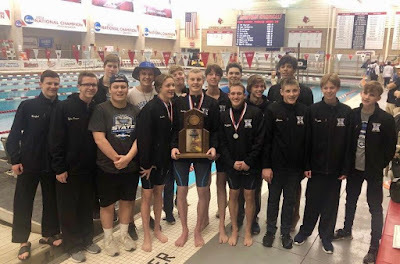 The Highlands boys once again finished third in the state with 194 points. Louisville St. Xavier ran away with 482 points and Lexington Catholic took second with 249. The Highlands girls were led by Caroline Sand who won one medal. The Highlands 400-yard Freestyle Relay team took second in one minute, 59.2 seconds. The swimmers are senior Brendan Conley and sophomores Will Griffith, Mac Russell and Jack Banks. Highlands junior diver Finn Murphy did not repeat as one-meter diving state champion. But Murpy did finish runner-up with 443.95 points in the finals. 100 free: 7. Caroline Sand (Highlands) 52.67; 34. Rachel Moscona (Highlands) 56.94. 100 breaststroke: 33. Evia Combs (Highlands) 1:12.64. Diving: 18. Lauren Groeschen (Highlands) 251.55, 26. Liddy Richter (Highlands) 131.10, 31. Diving: 1. Logan Smith (CovCath) 518.75, 2. Finn Murphy (Highlands) 443.95, 27. Robert Arnberg (Highlands), 37. Michael Meadows (Highlands) 69.05. 50 free: 5. Mac Russell (Highlands) 21.29, 14. Jake Ryan (Highlands) 21.95. 100 free: 4. Mac Russell (Highlands) 46.85, 15. Jake Ryan (Highlands) 49.01, 25. Will Griffith (Highlands) 49.95, 32. Mason Opitz (Highlands) 51.23. 200 free: 5. Brendan Conley (Highlands) 1:41.67, 19. Sam Jones (Highlands), 31. Davis Recht (Highlands) 1:53.13. 500 free: 7. Brendan Conley (Highlands) 4:40.91, 21. Sam Jones (Highlands) 4:57.47, 30. Davis Recht (Highlands) 5:04.17, 37. Benjamin Vaught (Highlands) 5:14.93. 100 backstroke: 33. Harrison Pawsat (Highlands) 59.40. 100 breaststroke: 5. Jack Banks (Highlands) 57.08, 31. Tyler Brown (Highlands) 1:03.87, 37. Matt Herfel (Highlands) 1:04.86. 100 butterfly: 8. Jack Banks (Highlands) 50.96, 12. Seth Young (Dixie) 51.96, 14. Tommy Johnson (Conner) 52.74, 21. Tristen Richards (Beechwood) 54.16, 22. Parker Knollman (CovCath) 54.17, 28. Braden Chow (SK) 55.24, 33. Colten Stephany (Campbell) 56.54. 200 IM: 23. Tyler Brown (Highlands) 2:03.92, 28. Matt Herfel (Highlands) 2:06.58, 31. 200 free relay: 4. Highlands 1:27.05 (Russell, Griffith, Ryan, Conley). 400 free relay: 2. Highlands 3:10.05 (Russell, Griffith, Banks, Conley). 200 medley relay: 5. Highlands 1:38.21 (Banks, Ryan, Brown, Griffith). Woodfill teacher Tina Reynolds, parent Stacy Sackenheim and Principal Keith Faust join three students to report on how new student-led conferences went. Most parents know the drill. You take time out of your busy afternoon or evening to come to school. You sit at your child’s desk, and you talk with your child’s teacher one on one, hear how he or she is doing. Hear praise, voice concerns. It’s a good opportunity to touch base and learn how your child is faring. Educators at Woodfill Elementary School also have welcomed the familiar opportunity for these regular meetings with parents to share student progress and goals. Yet, this year at Woodfill conferences were very different. No one was sure what would happen. Leadership of the conferences were turned over to the students. The student-led conferences were in keeping with the school’s ongoing Leader in Me program that puts students in charge of their own learning. "One of the things we are focusing on this year is truly living our mission. Our mission at the school this year is for our staff and students to communicate thoughts and ideas," explained Woodfill Principal Keith Faust. "Our entire student body shared out during student-led conferences with their parents. It was not lost on us that this was definitely a shift, and we took a leap of faith. We asked our students to participate in student-led conferences knowing that there would be pros and cons but felt this was the best real-world example of how our students could live our mission," he said. 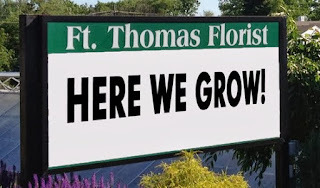 Faust enlisted students, a parent and a teacher to give their perspectives on how the conferences went, and to present the results at the February meeting of the Fort Thomas Independent Schools board. Three students explained what they shared during the conferences. "By doing my student-led conference, I learned that I am in charge of my learning. I used my leadership binder to help me communicate my strengths and weaknesses to my parents. My parents were very proud of me...Now that student-led conferences are over, I am going to continue to track my learning. For example, I will continue to track my WIT [writing]. My goal is to be a better writer by the end of third grade," said one student. Another focused on communication skills. "Today I want to talk about my skills and confidence...I looked at my binder to see what things I wanted to talk about. Then I would get a partner and act like they were a student or a parent..."
"My goal for the second quarter was to become a better basketball player. I did this by practicing for 15 minutes and passing for 10 of those. And I completed that goal," said a third student. "Another thing I explained in my student-led conference is that the reason my attendance should be tracked is the first step to becoming a great student is to be there and be on time." Some parents and teachers were skeptical going into the process. "My initial reaction when learning that the students were going to be leading their own conferences was, I guess, less than enchanted because, as everyone knows as a parent, it’s difficult to take that time out of your schedule to make an appointment to get to school and then you are hoping to have some one-on-one time with your student’s teacher," said parent Stacy Sackenheim. Sackenheim has a fourth and a first grader at Woodfill who both participated in the student-led conferences. "It was surprising to see how much they were able to tell us about their own progress using their accountability binders and learning about all this information they are tracking on their own. So, I would say it was a successful experience," she said. "I definitely think if you have a child who has an issue, you will have to carve out some special time with the teacher for that but I think that’s probably true in any situation because conferences are brief to begin with. If you want to talk about an issue, you have to schedule a separate meeting anyway," she added. Another surprise from the conference, she added, was how much the students are learning and absorbing lessons of accountability. "I tend to be very hands on with my children...then at the end of the day I realize I haven’t left room for them to be responsible for things. Seeing all this that they track on their own on a day-to-day basis, I feel like that level of personal responsibility and accountability that they are learning through this is a survival skill they will need going forward... Overall, I feel pretty positive about it," Sackenheim concluded. Teacher Tina Reynolds said some the concerns she and her colleagues had were similar to those expressed by Sackenheim. "I thought prior to these conferences that the parents would still want one-on-one conferences, and that the kids would only focus on their positives. They would not share concerns or areas of growth with their parents. But neither of those things happened," she said. What she discovered was students were honest and focused on their goals. "I found during the conferences the parents got more information from the students than they would have from me. They [the students] were very much more academic and growth driven." She explained. "When I’m with a parent in a conference I might say 'Well, he has a B in writing but I really think he has the potential to get an A so let’s work on that' and that’s kind of where I would stop. But the kids would go to their binders and say 'In September, on my writing piece I scored an 11,' and they would show the rubric and then say 'in October I scored a 13 because I moved idea development from a one to a two.'" The Moyer Rocket Penguins Robotics Team celebrates tournament honors with coaches Joey Hood and Beth Lutz. 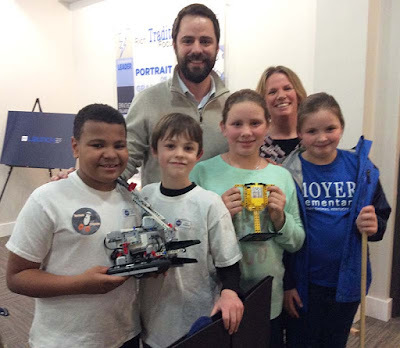 The Moyer Rocket Penguins and their robot Moby took the 2019 Rising Star award at the recent Kentucky First Lego® League Championship Tournament held at Northern Kentucky University in early February. 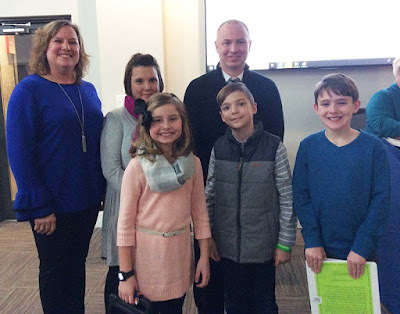 The students, fourth and fifth graders, presented their work and shared a video of the tournament at the February Fort Thomas Independent Schools board meeting. The Rocket Penguins were one of four Fort Thomas teams that qualified to compete in the event. Team members included Robby, Cole, Emma, team captain Sophie and star member Moby the robot. Coaches Beth Lutz and Joey Hood introduced the team and talked about the League and what the team had to do to compete in the tournament. Hood said Fort Thomas schools have participated in First Lego® League for a few years, and students can start with Lego League, Jr., moving up through high school. For very young children, it’s mostly about playing, but within a few years they are introduced to robotics and increasingly complicated tasks and projects. "It’s really a stepping block towards a career in engineering. I’m a parent, and I feel really fortunate to have this program available to us. The kids really enjoyed it," said Hood. He explained this year’s tournament challenge was "Into Orbit." The team was required to identify a problem and present a solution using the theme as backdrop. The team chose boredom in space as their problem and set about ways to combat the problem for the robot they created named Moby. "They quickly got into it and understood all the aspects of it from dopamine to habituation, deprivation, variety, choice, the whole thing. Our astronaut Moby loves this thing called a Snicker Pickle. He got bored with the Snicker Pickle and wanted to come up with something more fun. He came up with a bacon wrapped Snicker Pickle." Lutz explained that during the competition, the students must take their robot through a variety of tasks as he "solves" his problem of getting to his pickle treat. The students faced three judging sessions in the morning of the event, she explained. In the first, they presented their problem and solution. In the second they demonstrated their core values: discovery, innovation, impact, fun, teamwork and inclusion. Students talked through how they programmed their robot in the third judging session. In the afternoon the team took their robot to the big game floor where they had a quick practice session and then had three rounds to put their robot through a series of tasks in a set time frame. The tasks included things the robot might do in space such as move cargo, lift things, dock. "It was a pretty high pressured situation," said Lutz. "It required good time management, good team work, planning and a lot of precision. The team needed the ability to slow down and be really careful and precise but also move quickly, which is an important skill for a fourth or fifth grader to learn." Superintendent Karen Cheser congratulated the students, adding "Only the top 48 [teams] make it to the state competition so to be one of four winners at the competition is quite an accomplishment. There are 32,000 First Lego® League teams internationally. 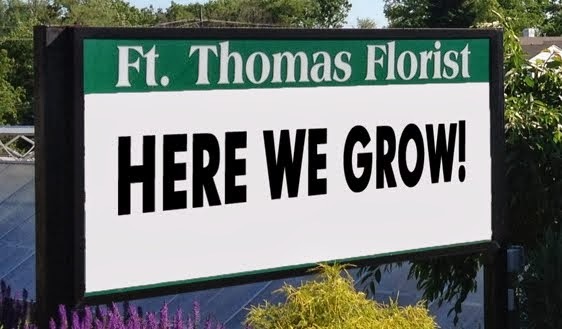 We have 36 in Fort Thomas...We hope these students will go all the way up to the 12th grade." She noted that Fort Thomas is one of the few districts in the region that participates through all grades up to grade 12.